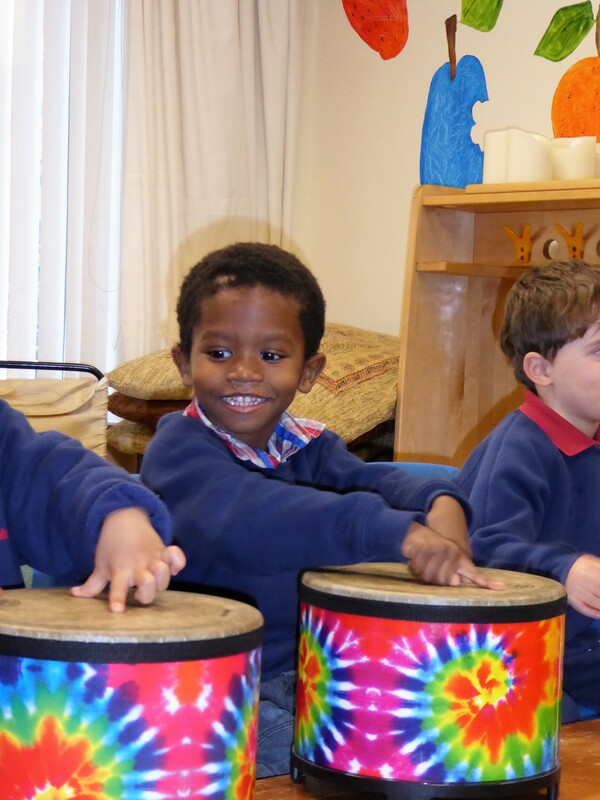 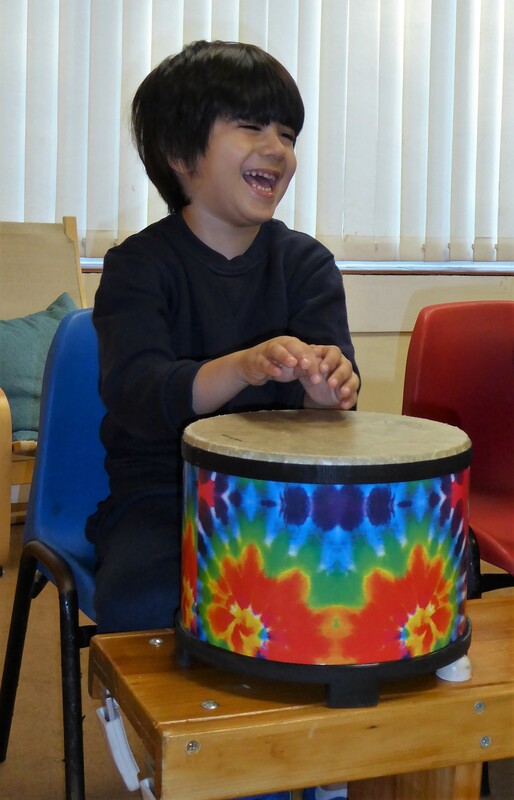 Children at Abercromby have the chance to take part in various enrichment activities. 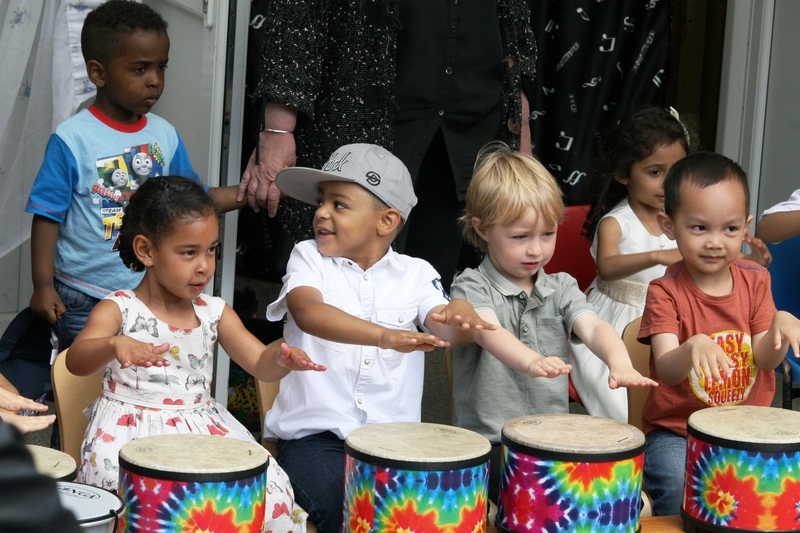 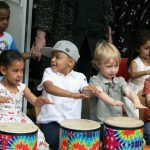 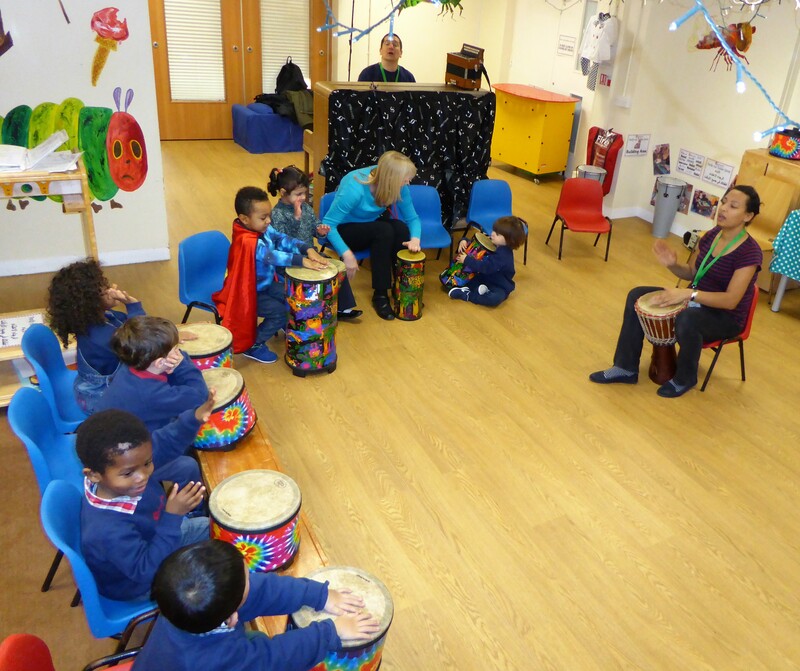 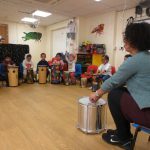 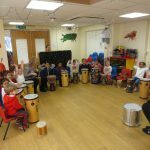 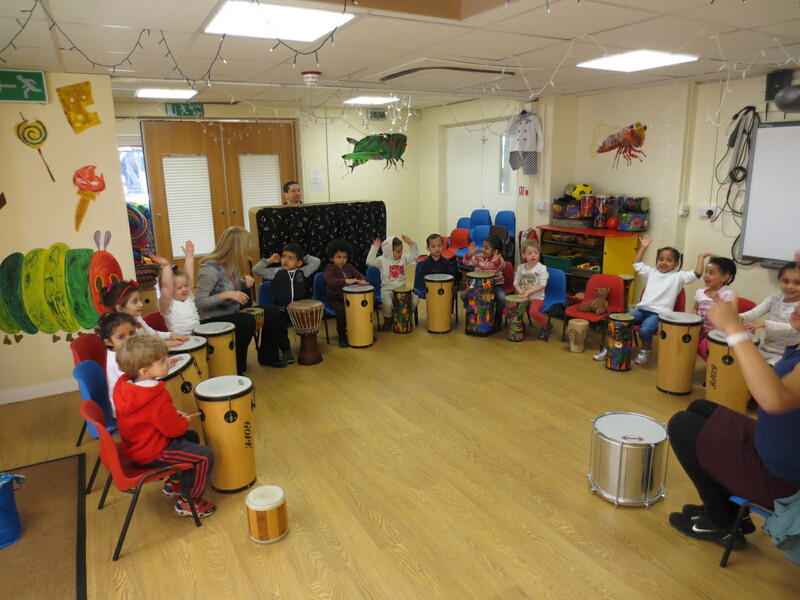 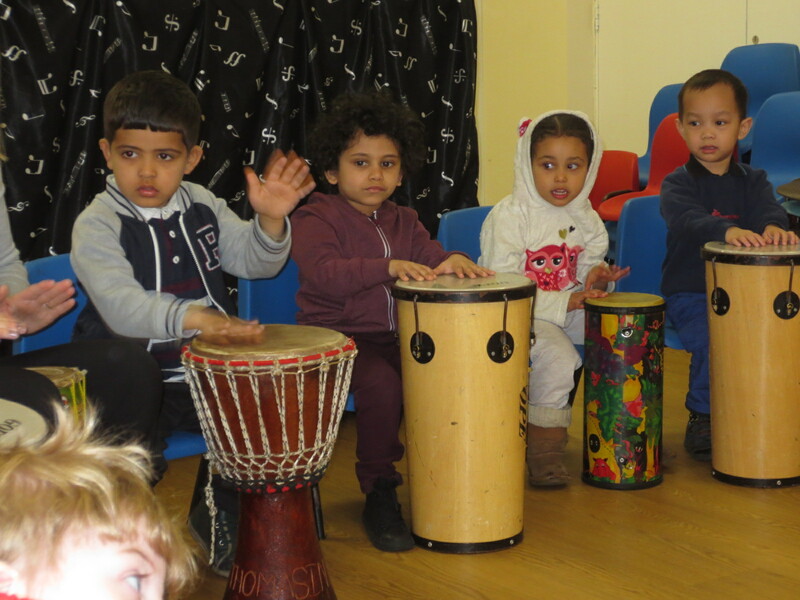 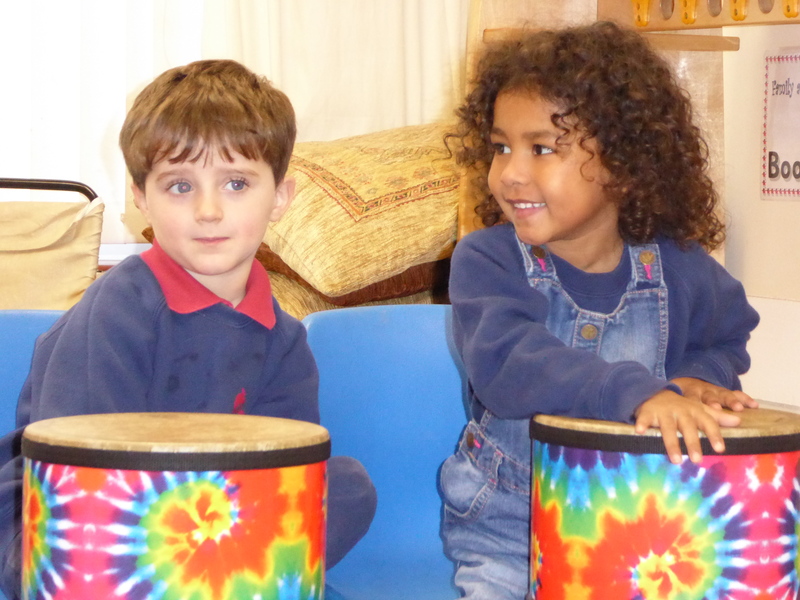 One of these is music and drumming sessions, called Beatlife. 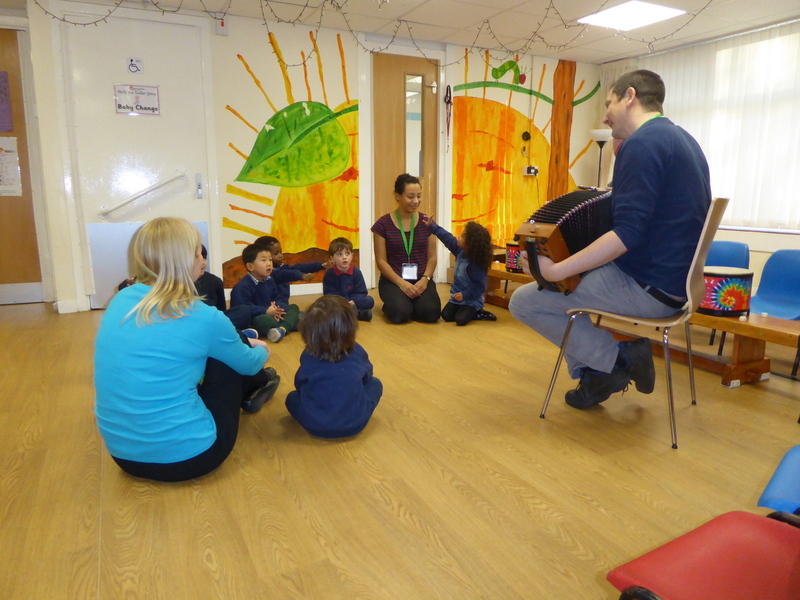 This takes place on alternate Monday and Friday mornings, in our Apple Tree Room, and is led by Mandy and Peter. 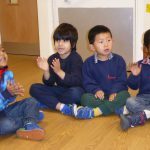 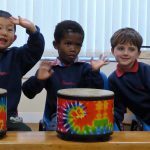 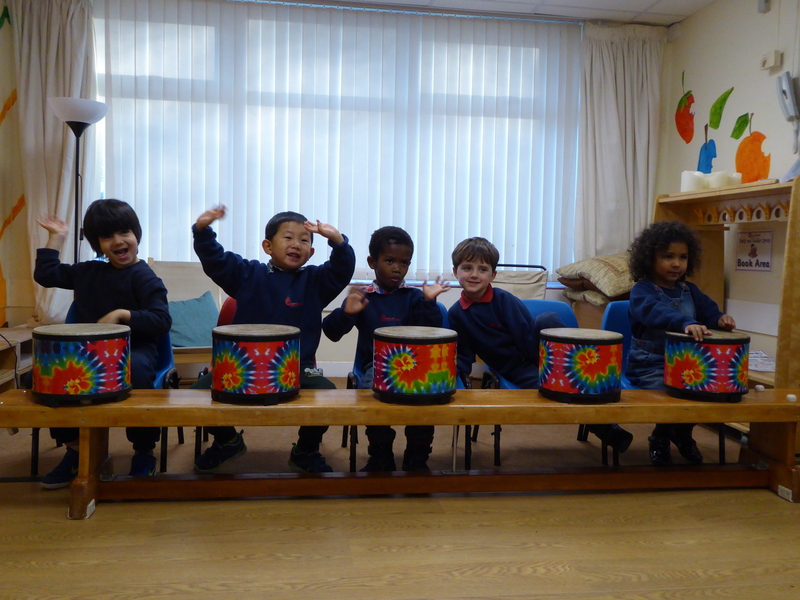 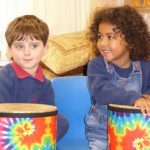 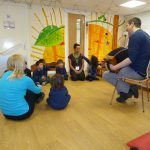 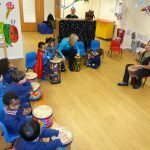 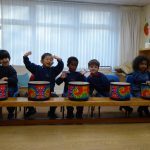 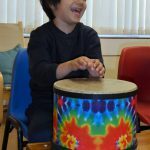 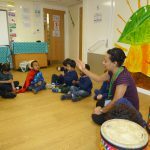 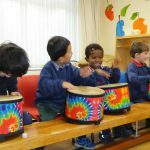 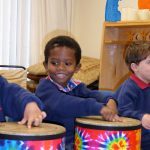 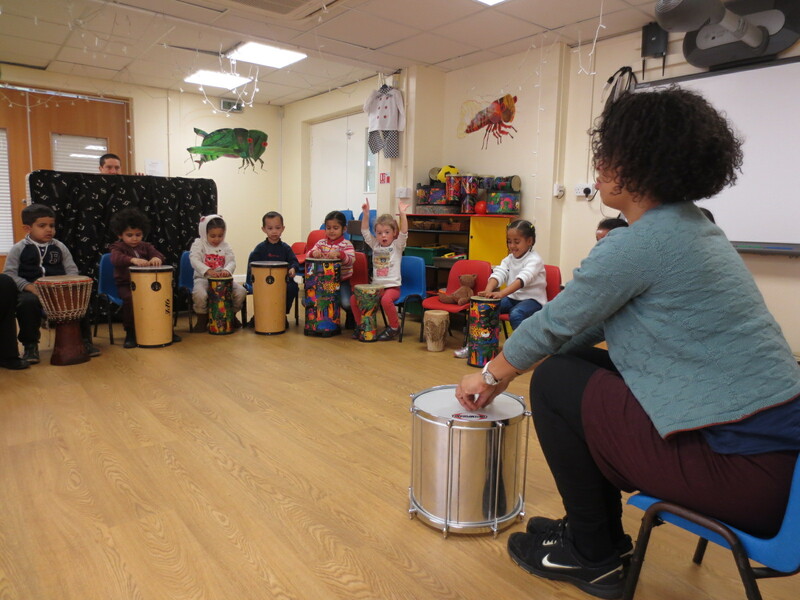 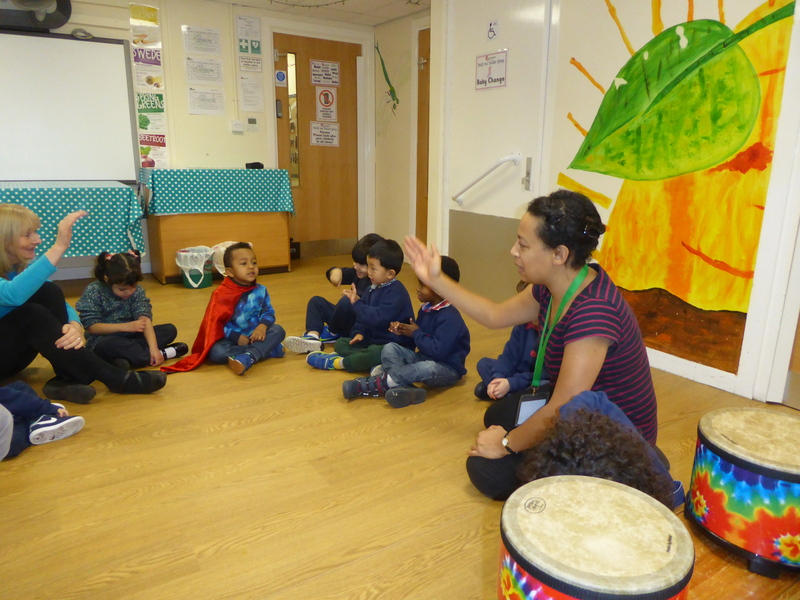 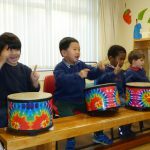 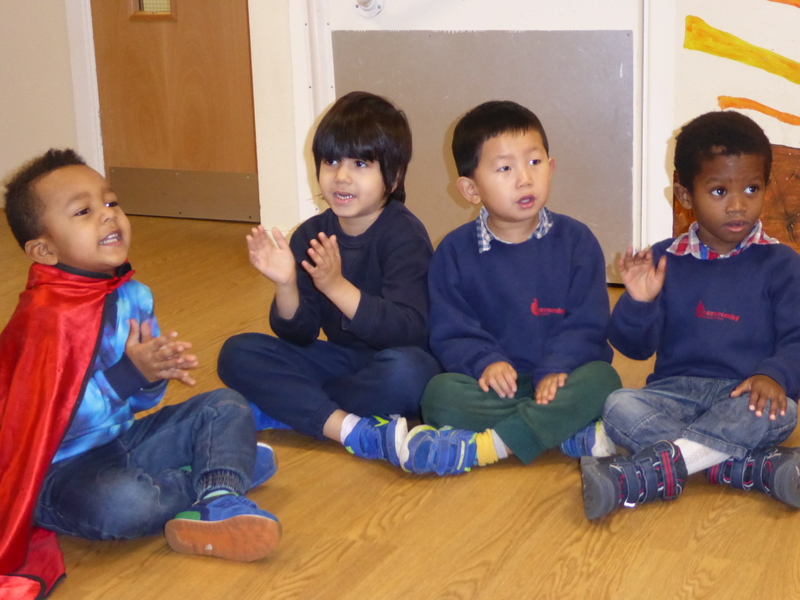 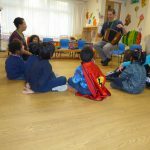 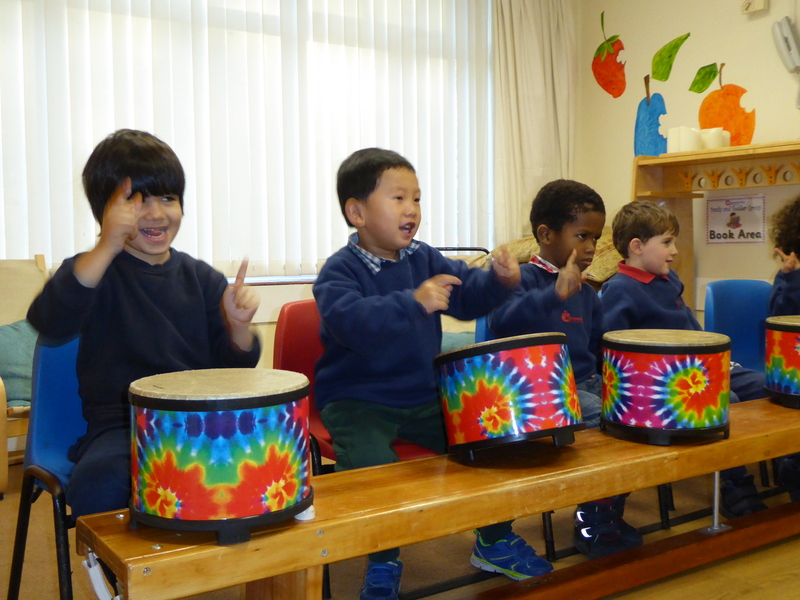 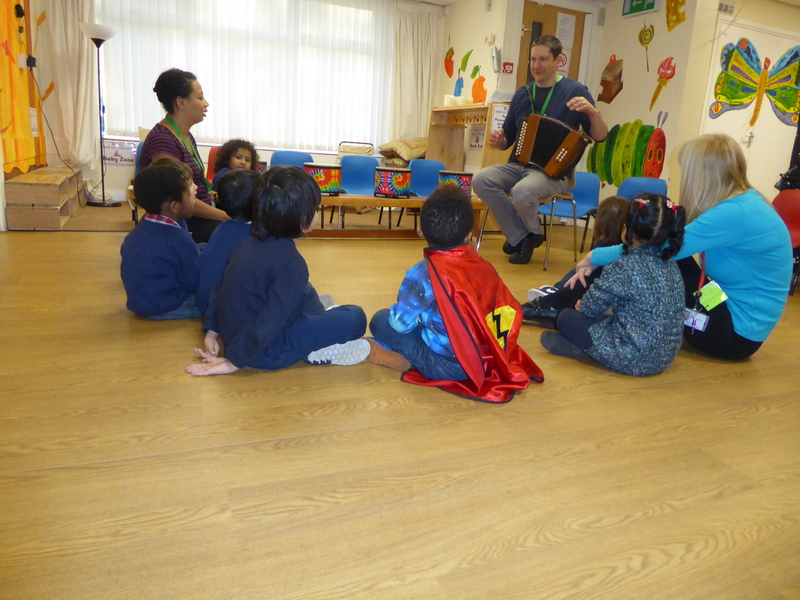 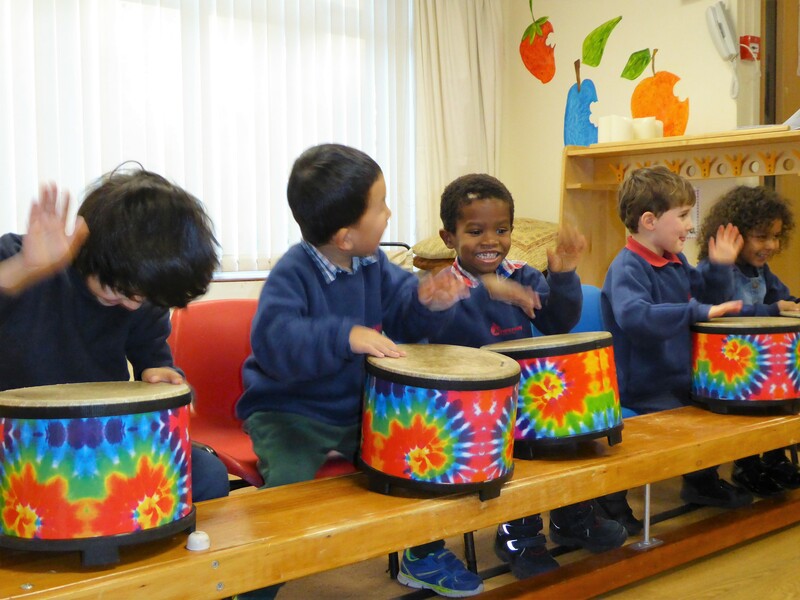 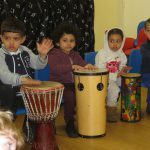 The children listen to live music on the piano and accordion, learn new songs, take part in dances and learn different rhythms on drums.